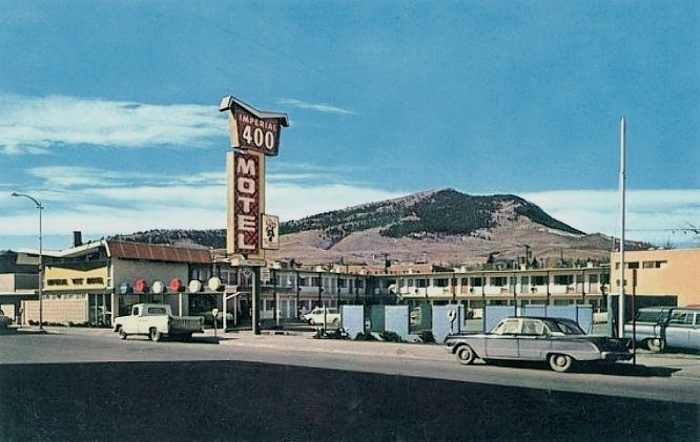 Imperial 400 was nationwide chain of motels which started in 1959. 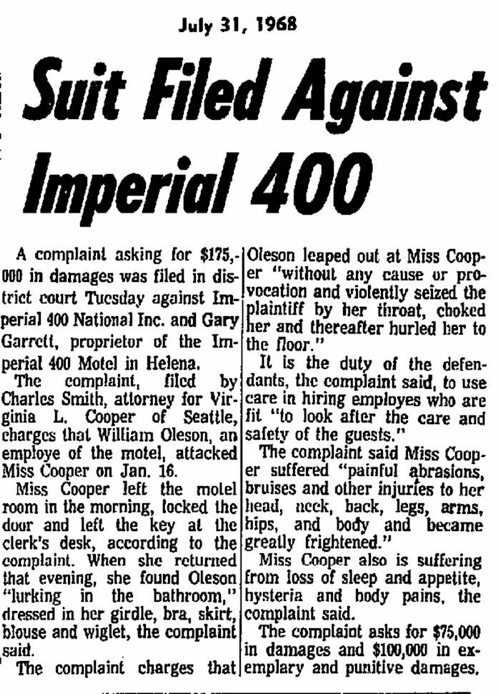 I assume that this case was settled out of court, as I can find no further mention of it in the available newspaper archives. 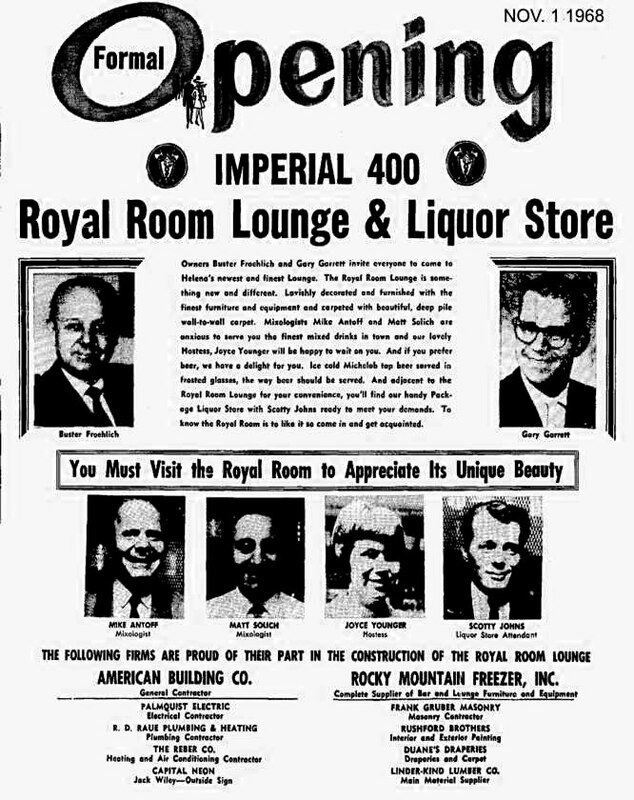 The lounge name changed to the Crown Room in 1971. Your editor recalls that the lounge soon acquired a reputation as a gay rendezvous. 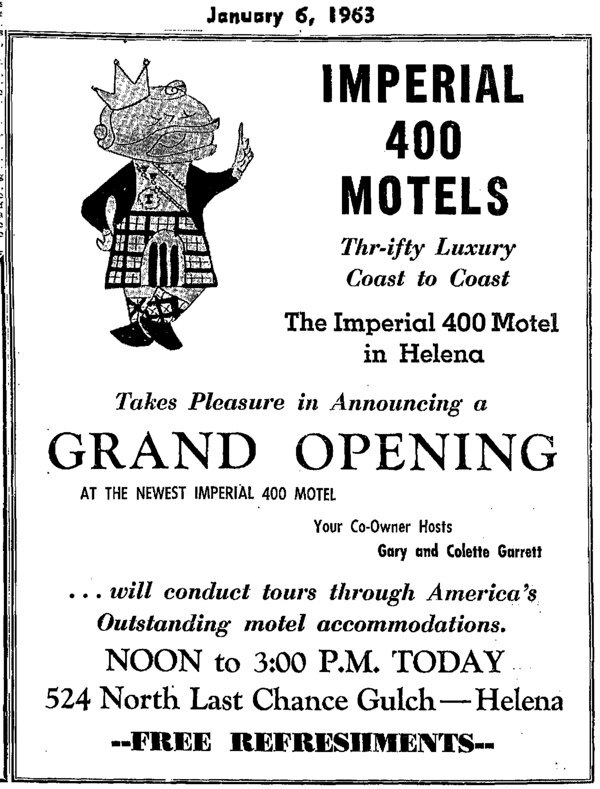 Around 1976, while I was living in Houston, I mentioned the Helena lounge to a gay friend. He got out one of his nationwide gay guidebooks, and sure enough the Crown Room was listed as a place to hook up. 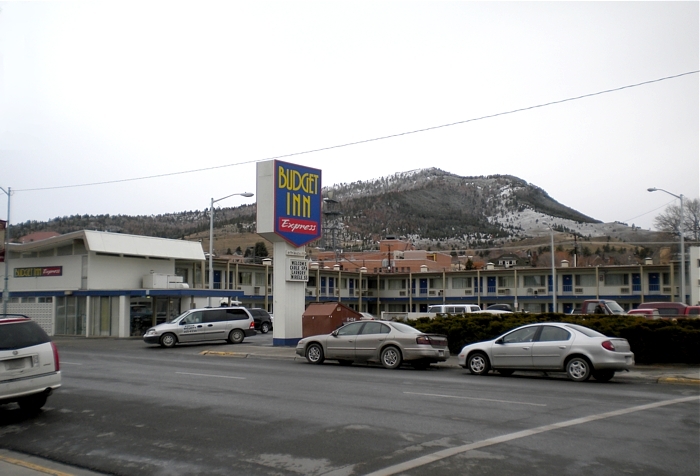 The motel is now a Budget Inn Express, sexual orientation unknown.